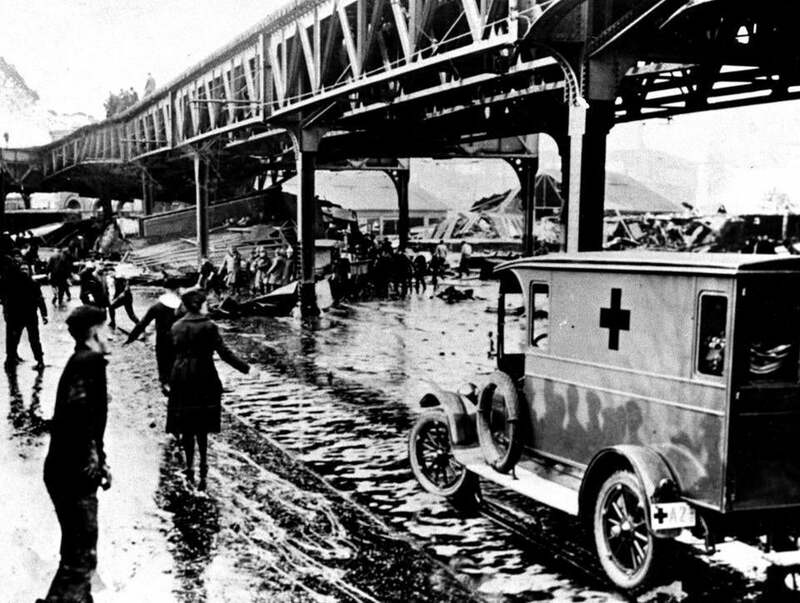 Jan. 15, 1919: Word of the disaster quickly brought every available rescue agency to the scene. 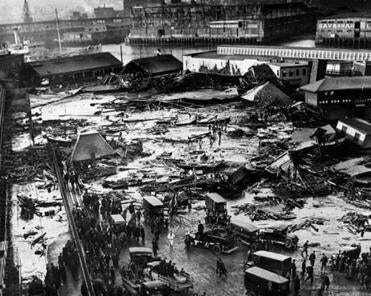 Police, firemen, Red Cross workers, civilian volunteers, and cadets from the USS Nantucket training ship berthed nearby were soon on the site. They pulled out many terrified people but others they were unable to reach.